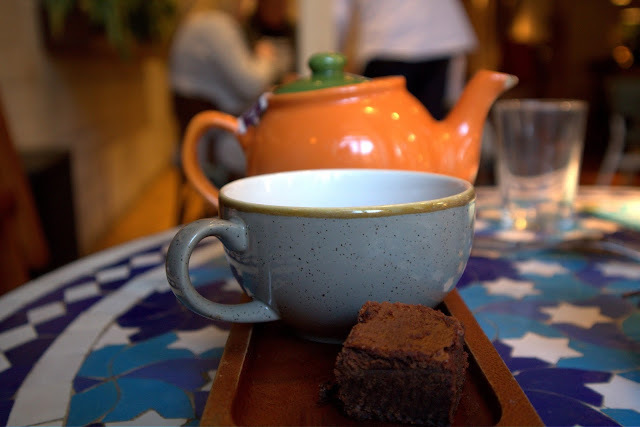 It's no doubt of mine that Revolucion De Cuba is one of my top places to visit in Nottingham. It's atmosphere, delicious Cuban inspired menu and incredible cocktails are what make me attend the place over and over again. Recently they introduced a Bottomless Brunch to their restaurant and it feels as though its the perfect fit. Imagine enjoying great food, plenty of cocktails and a great atmosphere, particularly after a long week at work. The weekends are the perfect opportunity to put it all behind you and Brunch is becoming a regular arrangement during your weekend. It's hard to find somewhere that offers all of this at a great value, particularly with so many places to choose from in Nottingham, but Revolucion De Cuba has introduced a great contender to the mix. 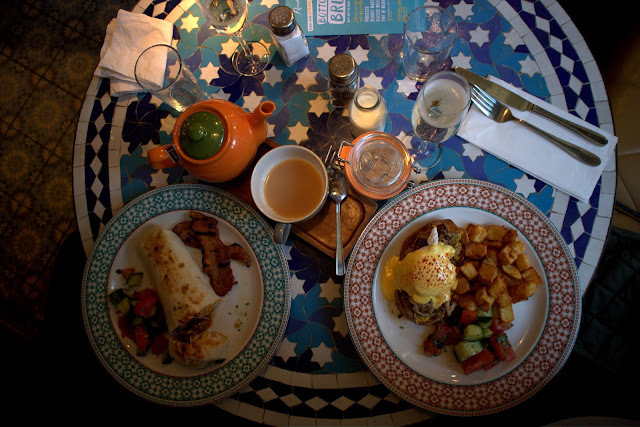 The Bottomless Brunch is served between 11am-2pm on Saturdays and Sundays. For £25 per person, you can enjoy great food as well as endless amounts of carefully curated cocktails including a breakfast twist on Bloody Mary's, classic Mojitos and a good glass of prosecco. On the brunch menu, there are 7 different dishes to choose from. Revolucion De Cuba have included South American twists on the classic brunch favourites. They offer vegetarian options as well as talks of developing a Vegan dish for the menu in the near future. If you don't fancy trying something with the South American flavours they do offer traditional breakfasts like a Full Grilled Breakfast and a Bacon and Egg Brichoe. Of course, I went for one of their new dishes, because they sounded so good! I tried the Cunbano Benedict (pictured below) as it was the perfect dish to kick off my Sunday. 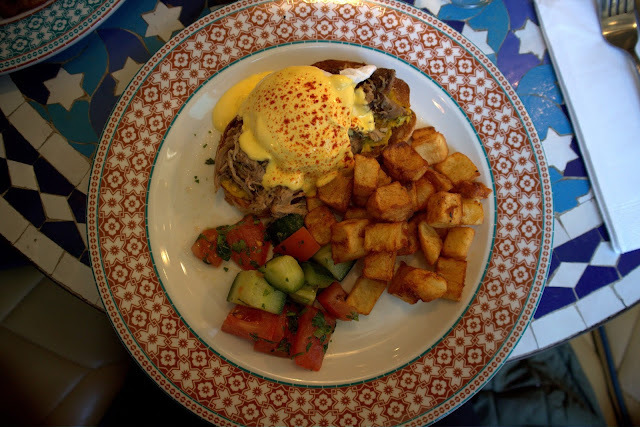 On top of the sourdough toast is roasted pork, a poached egg and hollandaise sauce, served with crispy potatoes. It tasted as good as it sounds. It had a slight dollop of mustard below the pork which I wouldn't usually enjoy but think the kick perfectly complemented both the meat and egg. I loved dipping the crispy potatoes into the poached egg yolk. Jordan opted for the dish I presumed he'd try from reading the menu, the Brekkie Burrito (pictured below). A flour tortilla stuffed to the brim with sausage, chorizo, egg, refried Pinto beans, jalapenos, and cheese, finished off with crispy bacon. 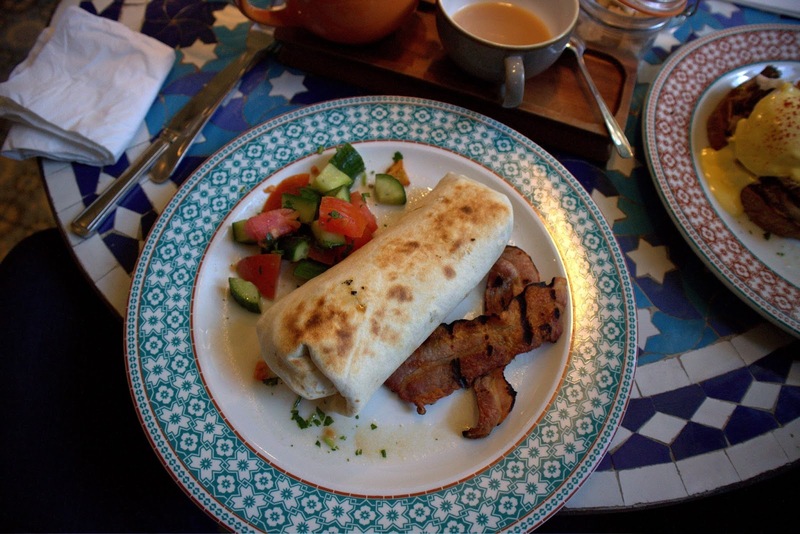 Jordan said that it was full of flavour and was a brilliant combination of traditional breakfast foods. Jordan didn't have his with egg but said this didn't detract from the delicious food he enjoyed. Combining the traditional breakfast tastes and the Latin flavours work extremely well with the brunch. Obviously, you'll be pulled in by the bottomless drinks. The staff couldn't wait to fill up our glasses and I enjoyed washing my food down with a delicious fizz of prosecco and of course a classic Mojito. If you don't want an alcoholic beverage then there is the option of fresh juices and a hot drink. 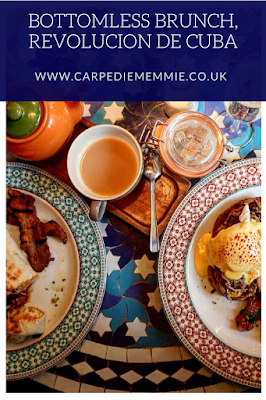 So next time you are in Nottingham for the weekend and wanting to add in a Brunch date. I'd definitely recommend you head to check out the Bottomless Brunch at Revolucion De Cuba. My mouth is watering just thinking about these dishes again. *complimentary meal in return for an honest review. 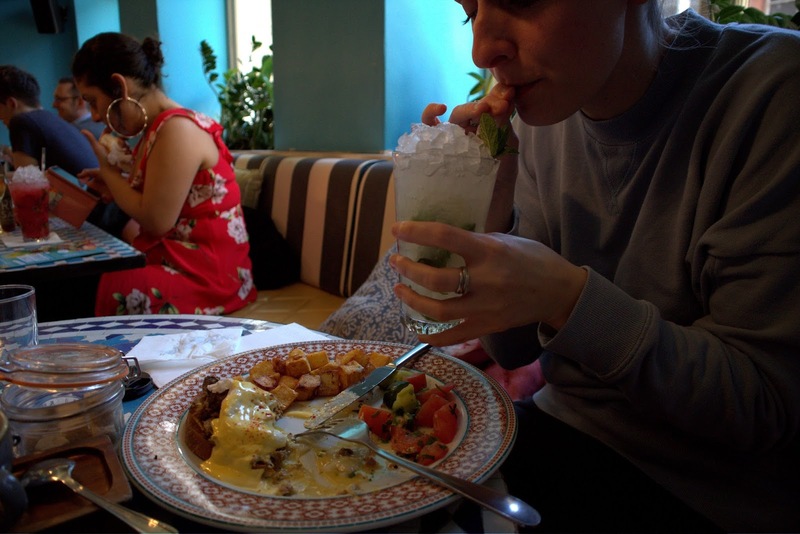 I had no idea Revolucion De Cuba did bottomless brunch! I will remember that one for my next visit into Notts with the girls!